1. Бывальцев В.А., Калинин А.А., Оконешникова А.К. Анализ клинической эффективности применения метода фасетопластики при лечении фасет-синдрома в поясничном отделе позвоночника у пациентов пожилого и старческого возраста // Успехи геронтологии. – 2017. – Т. 30, № 1. – С. 84–91. Byvaltsev VA, Kalinin AA, Okoneshnikova AK. (2017). Analysis of the clinical efficacy of the facetoplasty in the treatment of lumbar spine facet syndrome in elderly and senile patients [Analiz klinicheskoy effektivnosti primeneniya metoda fasetoplastiki pri lechenii faset-sindroma v poyasnichnom otdele pozvonochnika u patsientov pozhilogo i starcheskogo vozrasta]. Uspekhi gerontologii, 30 (1), 84-91. 2. Бывальцев В.А., Калинин А.А., Оконешникова А.К., Керимбаев Т.Т., Белых Е.Г. Фасеточная фиксация в комбинации с межтеловым спондилодезом: сравнительный анализ и клинический опыт нового способа хирургического лечения пациентов с дегенеративными заболеваниями поясничного отдела позвоночника // Вестник РАМН. – 2016. – Т. 71, № 5. – С. 375–383. Byvaltsev VA, Kalinin AA, Okoneshnikova AK, Kerimbayev TT, Belykh EG. (2016). Facet fixation in combination with interbody spondylodesis: a comparative analysis and clinical experience of a new method of surgical treatment of degenerative diseases of the lumbar spine. [Fasetochnaya fiksatsiya v kombinatsii s mezhtelovym spondilodezom: sravnitel’nyy analiz i klinicheskiy opyt novogo sposoba khirurgicheskogo lecheniya patsientov s degenerativnymi zabolevaniyami poyasnichnogo otdela pozvonochnika]. Vestnik RAMN, 71 (5), 375-383. 3. Евзиков Г.Ю., Егоров О.Е., Горбачева Ю.В. Поясничные периартикулярные кисты: серия наблюдений и обзор литературы // Неврологический журнал. – 2012 – Т. 17, № 3. – С. 30–33. Evzikov GY, Egorov OE, Gorbacheva YV. (2012). Lumbar periarticular cysts: a series of observations and a literature review [Poyasnichnye periartikulyarnye kisty: seriya nablyudeniy i obzor literatury]. Nevrologicheskiy zhurnal, 17 (3), 30-33. 4. 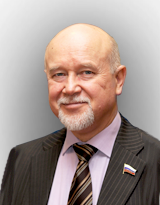 Калинин А.А., Оконешникова А.К., Бывальцев В.А. Лечение пациентов с дегенеративными заболеваниями пояснично-крестцового отдела позвоночника c использованием новой методики фасеточной стабилизации имплантатом Facet Wedge // Современные технологии в медицине. – 2017. – Т. 9, № 2. – С. 131–140. Kalinin AA, Okoneshnikova AK, Byvaltsev VA. (2017). Treatment of patients with degenerative diseases of the lumbosacral spine using a new method of facet stabilization with an implant Facet Wedge [Lechenie patsientov s degenerativnymi zabolevaniyami poyasnichno- kresttsovogo otdela pozvonochnika c ispol’zovaniem novoy metodiki fasetochnoy stabilizatsii implantatom Facet Wedge]. Sovremennye tekhnologii v meditsine, 9 (2), 131-140. 5. Цементис С.А. Дифференциальная диагностика в неврологии и нейрохирургии. – М., 2005. – 368 с. Tsementis SA. (2005). Differential diagnosis in neurology and neurosurgery [Differentsial’naya diagnostika v nevrologii i neyrokhirurgii]. Moskva, 368 p.
6. Apostolaki E, Davis AM, Evans NV, Cassar-Pullicino N. (2000). MR-imaging of lumbar facet joint synovial cyst. Orthopedics, 615-623. 7. Belykh E, Kalinin AA, Martirosyan NL, Kerimbayev T, Theodore N, Preul MC, Byvaltsev VA. (2018). Facet joint fixation and anterior, direct lateral, and transforaminal lumbar interbody fusions for treatment of degenerative lumbar disc diseases: retrospective cohort study of a new minimally invasive technique. World Neurosurg. DOI: 10.1016/j.wneu.2018.03.121. 8. Boviatsis EJ, Stavrinou LC, Kouyialis AT, Gavra MM, Stavrinou PC, Themistokleous M, Selviaridis P, Sakas DE. (2008). Spinal synovial cysts: pathogenesis, diagnosis and surgical treatment in a series of seven cases and literature review. Eur Spine J, 17 (6), 831-837. 9. Budris DM. (1991). Radiologic case study. Intraspinal lumbar synovial cyst. Orthopedics, 618-620. 10. Cohen-Gadol AA, White JB, Lynch JJ, Miller GM, Krauss WE. (2004). Synovial cysts of the thoracic spine. J Neurosurg Spine, 1 (1), 52-57. 11. Eck JC, Triantafyllou SJ. (2005). Hemorragic lumbar synovial facet cyst secondary to anticoagulation therapy. Spine J, 5 (4), 451-453. 12. Freidberg SR, Fellows T, Thomas CB, Mancall AC. (1994). Experience with symptomatic spinal epidural cysts. Neurosurgery, 34 (6), 989-993. 13. Howington JU, Connolly ES, Voorhies RM. (1999). Intraspinal synovial cysts: 10-year experience at the Ochsner Clinic. J Neurosurg, 193-199. 14. Hsu KY, Zucherman JF, Shea WJ, Jeffrey RA. (1995). Lumbar intraspinal synovial and ganglion cysts (facet cysts). Ten-year experience in evaluation and treatment. Spine (Phila Pa 1976), 20 (1), 80-89. 15. Jonsson B, Tufvesson A, Stromqvist B. (1999). Lumbar nerve root compression by intraspinal synovial cysts. Report of 8 cases. Acta Orthop Scand, 70 (2), 203- 206. 16. Kao CC, Winkler SS, Turner JH. (1974). Synovial cyst of spinal facet. Case report. J Neurosurg, 41 (3), 372- 376. 17. Khan AM, Synnot K, Cammisa FP, Girardi FP. (2005). Lumbar synovial cyst of the spine: an evaluation of surgical outcome. J Spinal, 18 (2), 127-131. 18. Kjerulf TD, Terry DW, Boubelik RJ. (1986). Lumbar synovial or ganglion cysts. Neurosurgery, 19 (3), 415-420. 19. Koenigsberg RA. (1998). Percutaneous aspiration of lumbar synovial cyst: CT and MRI considerations. Neuroradiology, 40 (4), 272-273. 20. Lyons MK, Atkinson JL, Wharen RE, Deen HG, Zimmerman RS, Lemens SM. (2000). Surgical evaluation and management of lumbar synovial cysts: the Mayo clinic experience. J Neurosurg, 53-57. 21. Métellus P, Fuentes S, Adetchessi T, Levrier O, Flores-Parra I, Talianu D, Dufour H, Bouvier C, Manera L, Grisoli F. (2006). Retrospective study of 77 patients harbouring lumbar synovial cysts: functional and neurological outcome. Acta Neurochir (Wien), 148 (1), 47-54. 22. Miwa M, Doita M, Takayam H, Muratsu H, Harada T, Kurosaka M. (2004). An expanding cervical synovial cyst causing acute cervical radiculopathy. J Spinal Disord Tech, 17 (4), 331- 333. 23. Pendleton B, Carl B, Pollay M. (1983). Spinal extradural benign synovial or ganglion cyst: case report and review of the literature. Neurosurgery, 13 (3), 322-326. 24. Rousseaux P, Durot JF, Pluot M, Bernard MH, Scherpereel B, Bazin A, Peruzzi P, Baudrillard JC. (1989). Synovial cysts and synovialomas of the lumbar spine. Histo- pathologic and neurosurgical aspects apropos of 8 cases. Neurochirurgie, 35 (1), 31-39. 25. Sabo RA, Tracy PT, Weinger JM. (1996). A series of 60 juxtafacet cysts: clinical presentation, the role of spinal instability and treatment. J Neurosurg, 85 (4), 560-565. 26. Shah RV, Luts GE. (2003). Lumbar intraspinal synovial cysts: conservative management and review of the world’s literature. Spine J, 3 (6), 479-488. 27. Song JK, Musleh W, Christie SD, Fessler RG. (2006). Cervical juxtafacet cysts: case report and literature review. Spine J, 6 (3), 279-281. 28. Tatter SB, Cosgrove GR. (1994). Hemorrhage into a lumbar synovial cyst causing an acute cauda equine syndrome. Case report. J Neurosurg, 81 (3), 449-452. 29. Tillich M, Trummer M, Lindbichler F, Flashka G. (2001). Symptomatic intraspinal synovial cysts of the lumbar spine: correlation of MR and surgical findings. Neuroradiology, 1070-1075. 30. Trummer M, Flaschka G, Tillich M, Homann CN, Unger F, Eustacchio S. (2001). Diagnosis and surgical management of intraspinal synovial cysts: report of 19 cases. J Neurol Neurosurg Psychiatry, 70, 74-77.